After a major supporting role in 2013’s Man of Steel, Kevin Costner looked primed for a strong 2014. He got another important secondary part in Jack Ryan: Shadow Recruit - a sure-to-be-successful reboot of that franchise – as well as the lead in both Draft Day and 3 Days to Kill. As of May, however, 2014 hasn’t gone as Costner might’ve hoped. Shadow Recruit became a significant box office disappointment, and neither of Costner’s other flicks found much of an audience. 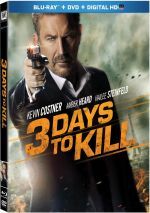 I’ll discuss Shadow Recruit and Draft Day on subsequent occasions, so today we’ll look at 3 Days to Kill. Veteran CIA agent Ethan Renner (Costner) tries to step away from the bureau so he can reconnect with his estranged daughter Zooey (Hailee Steinfeld). This becomes especially important when he learns he suffers from a fast-moving, deadly cancer. Ethan’s career interferes when agent Vivi Delay (Amber Heard) comes to him with a new assignment. Although Ethan resists, Vivi makes him an offer he can’t refuse. If he cooperates, she’ll supply him with a drug that will extend his life. Reluctantly, Ethan agrees to take on the job, so we follow Ethan’s deadly work as well as his attempts to develop a good relationship with Zooey. Ever since he made his name with 2000’s cinematic update of Charlie’s Angels, director McG has remained known as something of a Michael Bay wannabe. To be fair, however, McG has toned down his style quite a lot over the years; while he still emphasizes visual style, he no longer goes for the wild, over the top feel of his earlier work. This doesn’t mean McG can provide a film with actual substance, though, and 3 Days feels pretty superficial. When it focuses on action, this doesn’t seem like a bad thing, as McG knows his way around that kind of scene. The opening sequence in which we first see Ethan in action provides some good thrills, and a few subsequent pieces also function well. Unfortunately, McG proves inadequate when he attempts to deal with the film’s dramatic components, and since those become a major portion of 3 Days, the film frequently falters. The tale spends an awful lot of time on Ethan’s life and relationships, but it doesn’t develop any of these segments in a satisfying manner. I don’t blame Costner for this, as he manages to flesh out the lead role well. However, the script sticks Ethan with a cliché feel/arc that never goes much of anywhere. We’ve seen many stories with father/child relationships such as this, and 3 Days adds nothing. In fact, you’ll probably experience some déjà vu, as 3 Days often feels a whole lot like 1994’s Leon. Perhaps this should come as no surprise since Luc Besson wrote both stories, but it seems like he does a lot of recycling here. While the two differ in some significant plot/character ways, they still deliver a similar feeling, and 3 Days doesn’t flesh out its tale nearly as well. In particular, the Ethan/Zooey relationship comes across as contrived. It lacks the depth it needs to succeed and feels like the filmmakers cribbed it from some bad sitcom much of the time. Though both talented in their own right, Costner and Steinfeld never really connect, so the movie suffers from a hole at its center. Add to that some bad attempts at comedy and a ridiculous twist toward the end and 3 Days to Kill disappoints. The movie comes with promise and has some good moments but it usually wanders and staggers. 3 Days to Kill appears in an aspect ratio of approximately 2.40:1 on this Blu-ray Disc. This wasn’t a killer transfer, but it usually seemed very good. No real issues related to sharpness. A few shots seemed just a tad soft, but those popped up infrequently. Instead, the majority of the movie looked concise and accurate. Jagged edges and shimmering failed to appear, and edge haloes remained absent. Source flaws also caused no distractions. Colors were fine. Like most modern action films, this one went with a stylized palette, and the movie usually favored an amber tint or bluish hues. The tones looked fine within those parameters. Blacks were dark and tight, while shadows demonstrated good clarity. Overall, this ended up as a positive image. I also felt pleased with the DTS-HD MA 5.1 soundtrack of 3 Days. The film’s action pieces offered the most dynamic elements. Sequences with fights and chases opened up the soundfield well and gave us a nice sense of involvement. Music showed good stereo imaging, and the flick used the surrounds well. The back speakers worked as reasonably active participants and placed us in the action. Audio quality proved strong for the most part. Despite a few dodgy looped lines, speech was mostly positive, as the lines remained intelligible and clear. Music appeared lively and dynamic, and effects fared well. Those elements sounded full and rich at all times. Low-end response was quite good and brought out a nice sense of depth. This turned into a solid auditory package. 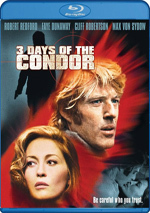 The set provides three featurettes. The Making of 3 Days to Kill fills nine minutes, 55 seconds and features director McG and actors Kevin Costner, Amber Heard, Hailee Steinfeld and Connie Nielsen. The show looks at story/characters, cast and performances, and shooting in Paris. We get a few decent notes but not much substance here. Covert Operation lasts five minutes, eight seconds and brings us notes from former CIA operative Robert Baer. He tells us a little about real life inside the spy game. Despite the show’s brevity, this becomes an intriguing clip. Finally, McG’s Method goes for four minutes, 39 seconds and features McG, Costner, Steinfeld, Heard, Nielsen, costume designer Olivier Beriot, stunt coordinator Dominique Fouassier, and production designer Sebastien Inizan. As expected, this one looks at McG’s work on the set as well as some production choices. It tends to be fairly superficial and forgettable. The disc opens with ads for Out of the Furnace, Robocop (2014), Brick Mansions and Oculus. These also appear under Sneak Peek along with promos for Devil’s Due, The Bridge Season 1, The Grand Budapest Hotel and Dom Hemingway. The release throws in the trailer for 3 Days to Kill as well. 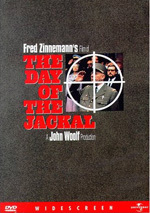 A second disc provides a DVD copy of the film. It includes the “Covert Operations” featurette, a trailer and previews. Despite some promising elements, 3 Days to Kill ends up as a forgettable action affair. It can’t deliver the character development it attempts and lacks enough sizzle to keep us with it. The Blu-ray presents very good picture and audio along with some minor bonus materials. This becomes a mediocre adventure at best.